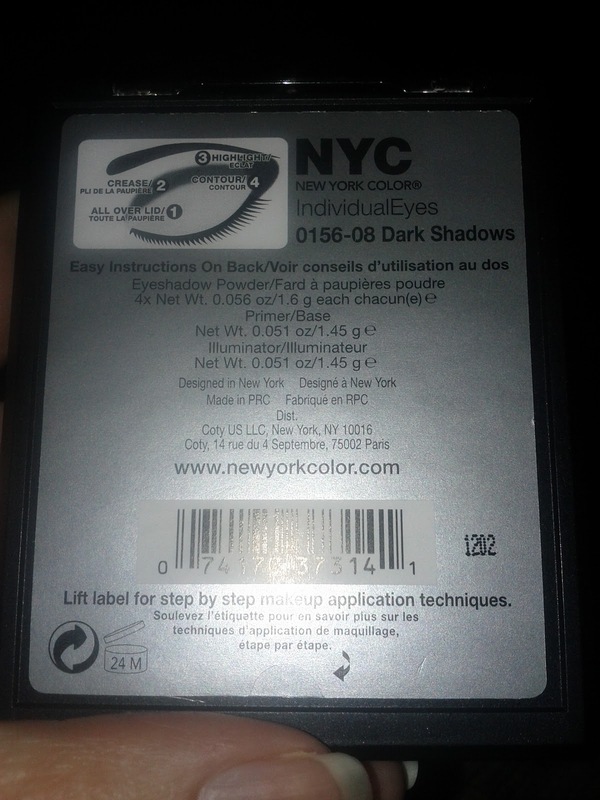 Another product that I got in my VoxBox is NYC New York Color IndividualEyes Custom Compact. 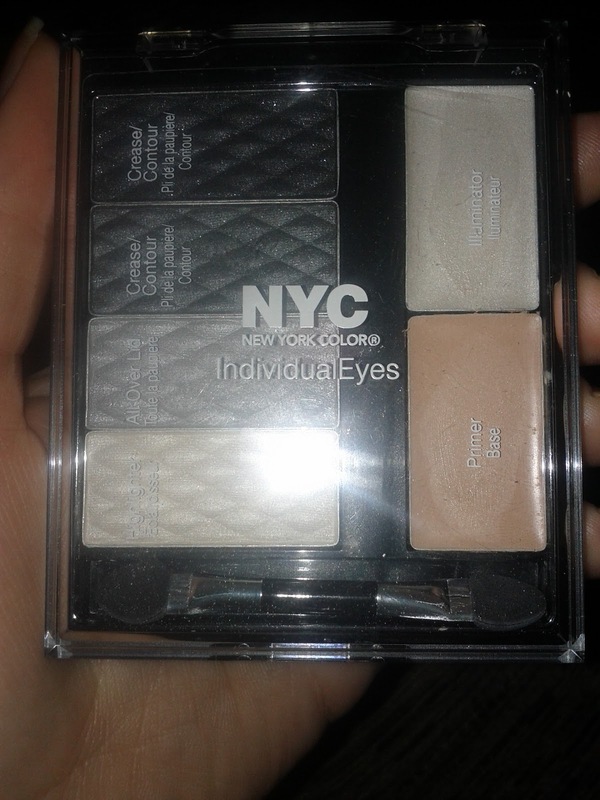 Discover NYC New York Color IndividualEyes Custom Compact, the all-in-one compact with everything you need for a complete eye look: primer, illuminator, applicator and complementing shadows. With four colors, specially coordinated to intensify and enhance your eye color, you can create a look as individual as you are. Make your eyes pop! I was sent 0156-08 Dark Shadows, which consists of a primer, illuminator, highlighter (cream color), all over lid (silverish gray), crease/contour (graphite) and crease/contour (black with silver shimmer). The idea behind this is that you can create a smokey eye with all or a few of the colors or any other look that tickles your fancy. On top of that they give you a primer and an illuminator which is great to help brighten by the brows and inner eye. I will say that I don't use dark gray and black a lot, but I am always willing to play around. I personally love that they include a primer and illuminator. It makes it great travel item as it cuts down on how much you have to pack. 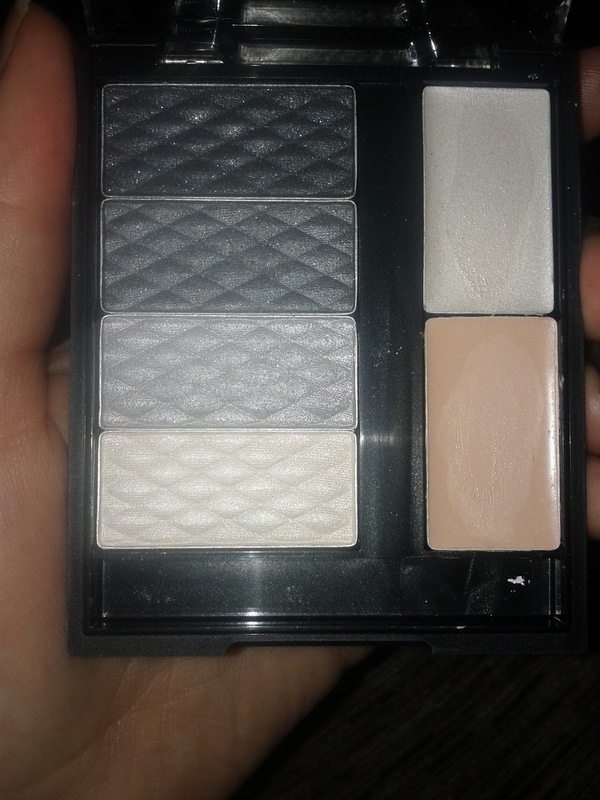 The colors are perfect for creating a smokey eye look. Though you could do something more simple if you got a more neutral pallet. 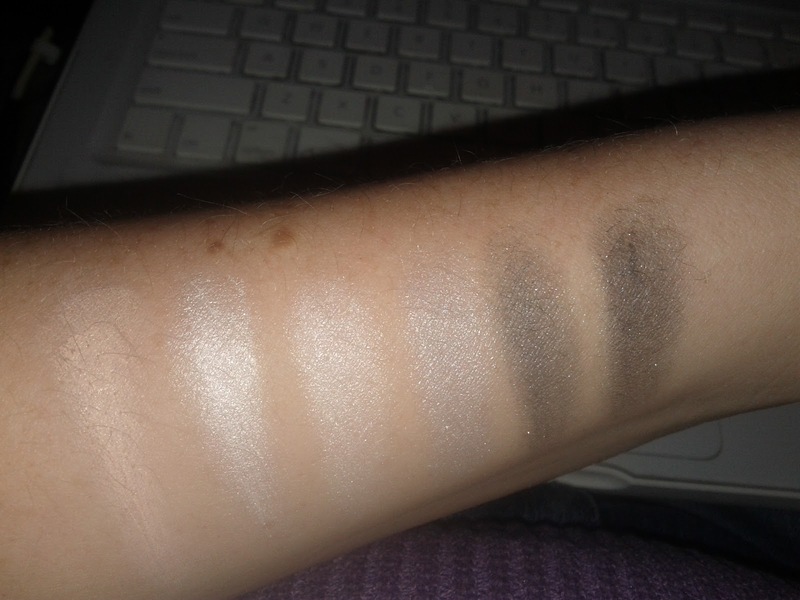 For the most part the shadows are silky and have decent pigmentation, though the black is a little lacking. The fall out is also a issue, especially with the darker colors. The brush is comes with is a double ended sponge applicator which in my opinion is pretty useless. The primer is a little thick, but not hard to work with, though it probably won't come close to matching most skin tones. The illuminator is a shimmery white color that catches the light nicely. I did notice that you had to blend it a little more than usual so it wasn't super noticeable. All in all I'd say that for the value this is a great product. It costs about $5 and allows you to not have to buy primer and illuminator. I could easily see myself packing this for a weekend trip to cut down on how much I need to pack. I do hope that they come out with more colors, both bright and neutral. As I can easily see myself grabbing more of these if they catch my eye.